Above: My engagement photograph with Maria Halaka. 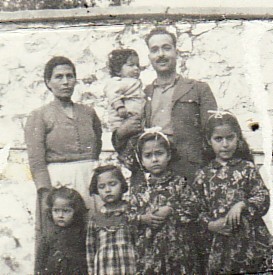 Above Right: With my wife, Maria, and our children, Evangelia, Dimitra, Irini and Anna. I am holding our son, Dimitrios. 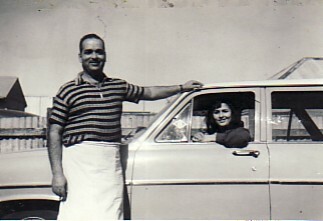 Above: With his daughter, Irini, at the back of their family business, the Mona Cafe, in Jerilderie, New South Wales. 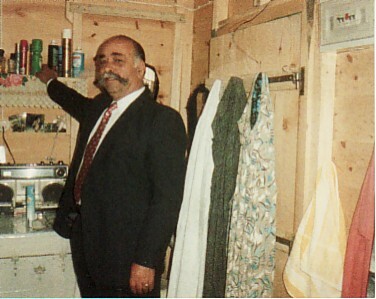 Circa late 1960's. 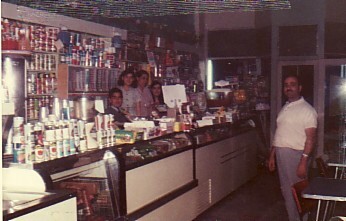 Above Right: With his wife, Maria, and their children, Dimitrios, Evangelia and Dimitra, at the counter of the Mona Cafe. Above: The Committee of the Sydney's Paleohoritans. 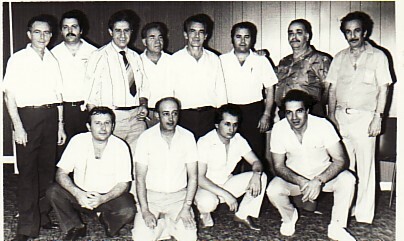 Standing from left are: Grigorios Zadellis, Nikolaos Nikolas, Vasilios Michales, Philipas Theodoratos, Pandelis Koutsouradis, Apostolos Tsimnadis, myself and Stratis. 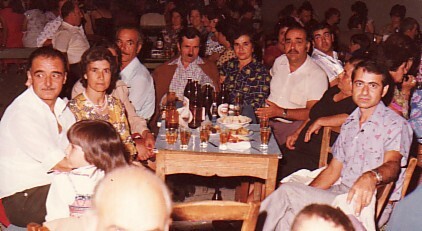 In the front row are: Haralambos Koutsouradis, Konstantinos Mouhtouris, Ioannis Malamas and Ioannis Nikolas. Above: Visiting Greece. 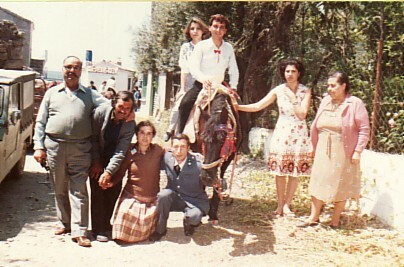 From right, they are: Panagiotis Mandroulis, my wife, Maria, myself, my sister, Athina and her husband, Panagiotis Matheos, and, Evangelia and unknown. Above Right: Melinda. 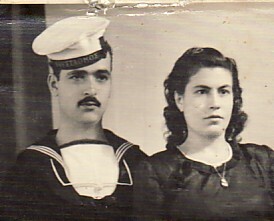 L-R: myself, Panagiotis and Athina Matheos (my sister), unknownsand on the right is my wife, Maria. Riding the horse is Ioannis Matheos.